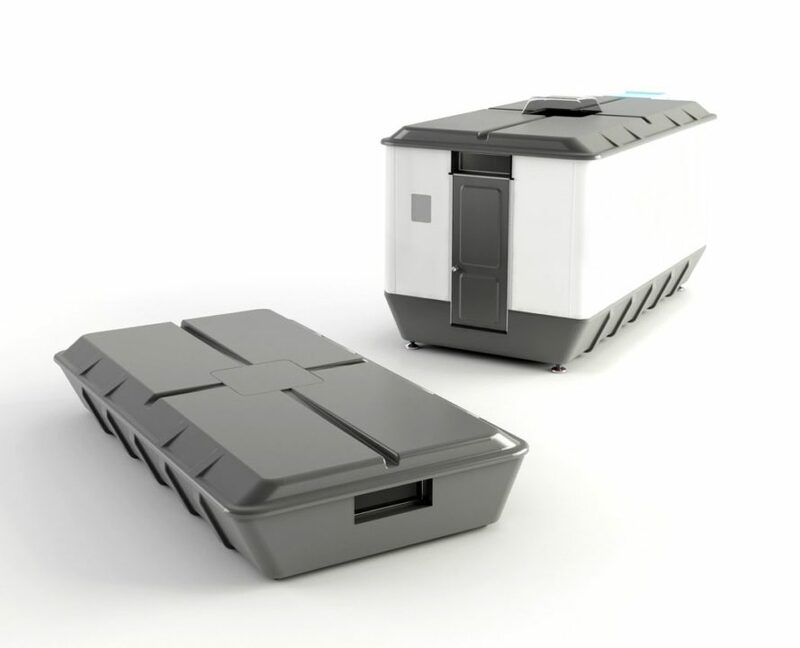 Fresh innovations in emergency shelters are popping up on a weekly basis, and the latest design from Hakan Gürsu of Designnobis marks another smart step forward. Shelter Pack is a fully appointed disaster relief shelter designed to collapse vertically for easy transport. 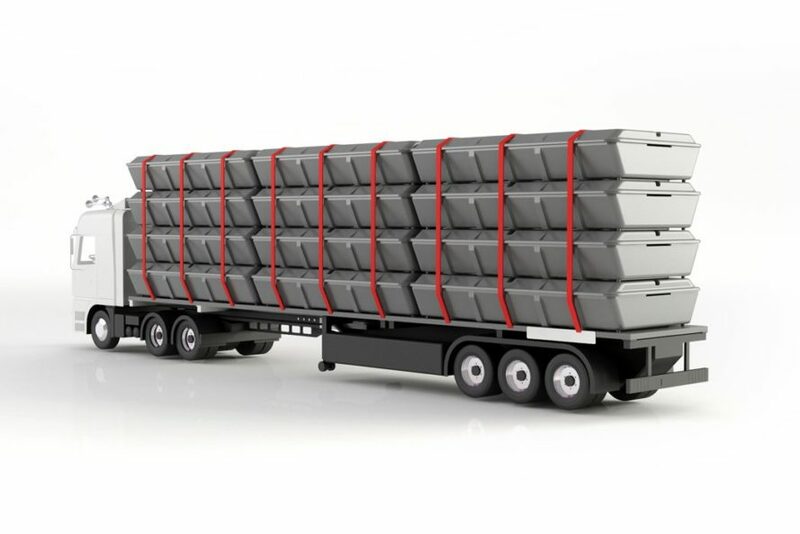 A standard semi truck can carry up to 12 units and, once deployed, each Shelter Pack provides sleeping accommodations for four people, as well as a bathroom, kitchen, and built-in dining table. Gürsu’s design for the Shelter Pack won the Golden award at the 2016 A’ Design Awards. The emergency shelter measure just 31 inches (80 cm) tall when compressed. When expanded to full size, Shelter Pack includes a bedroom with space for four beds, a bathroom, a fully appointed kitchen, and a dining area complete with its own furniture. Each portable apartment takes just a few hours to assemble. The intelligence of the design spans far beyond the shelter’s ability to collapse. Water spouts on the roof reduce the risk of leaks and funnel rainwater into a collection tank for later use. A rooftop skylight filters daylight into the living space, reducing the need for artificial lighting. The walls are composed of multiple layers of fire- and waterproof materials, which simultaneously protect the interior from damage while providing heat insulation in case of inclement weather. Overall, each installed Shelter Pack home provides 129 square feet of living space that can sustain residents for months on end. With numbers of refugees on the rise, from both war and climate change, smart solutions like this one will be a necessary addition to disaster relief efforts around the globe. Gürsu’s design for the Shelter Pack won the Golden award at the A’ Design Awards 2016. The shelter homes measure just 31 inches (80 cm) tall when compressed. When expanded to full size, Shelter Pack includes a bedroom with space for four beds, a bathroom, fully appointed kitchen, and a dining area complete with its own furniture. Each portable apartment takes just a few hours to assemble. The intelligence of the design spans far beyond the shelter’s ability to collapse. Water spouts on the roof reduce the risk of leaks and funnel rainwater into a collection tank for later use. A rooftop skylight filters daylight into the living space, reducing the need for artificial lighting. The walls are composed of multiple layers of fire- and waterproof materials, which simultaneously protect the interior from damage as well as provide heat insulation in case of inclement weather.